How to identify and address barriers to learning. Clearly structured and accessible, this photocopiable resource will help SENCOs and support teachers to target a pupil’s core difficulty and support effective learning. 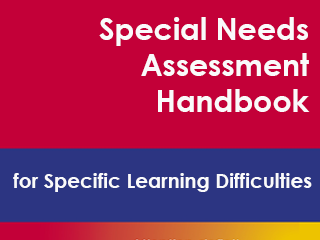 Special Needs Assessment Handbook for Specific Learning Difficulties is written by the senior author of the widely used Special Needs Assessment Profile (SNAP) computer-aided packages.